Tội phạm máy tính | [MMO] Đăng ký tài khoản AlertPay như thế nào? 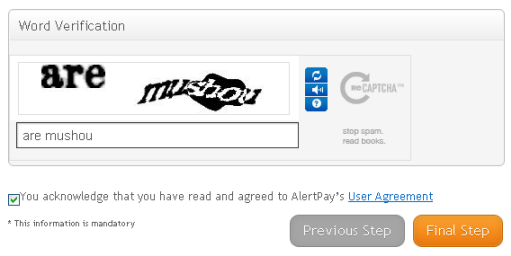 Searching for a secure and easy to use solution for all of your online payment needs? Look no further. Founded in 2004 in Montreal, Quebec, Canada, with a mission to simplify instant transactions between individuals and online businesses, AlertPay is quickly becoming one of the world's leading online payment platforms, trusted by people in over 190 countries across the globe. 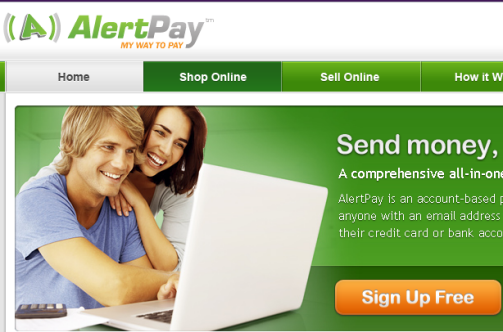 Simple to set-up and used by more than five million members worldwide - with over eight thousand new users signing up on a daily basis - AlertPay has emerged as one of the safest and most convenient all-in-one solutions for your online payment requirements. Whether you're a business owner sending out money or simply doing a bit of online shopping, AlertPay is the quickest, safest and most reliable way to make and accept payments, within seconds, from just about anywhere in world. With security and exceptional customer service that's second to none, backed by a multi-lingual support team of over 100 employees in both Canada and India, you can rest assured your money will get from point A to point B, with one of the safest and smartest ways to pay and get paid. 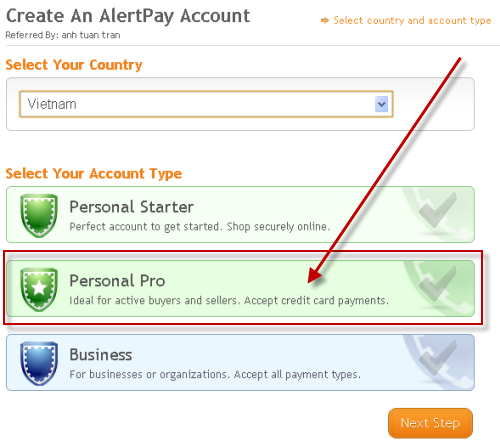 Always keeping your personal information secure and safeguarded with SSL-encryption coding and our built-in fraud protection system, AlertPay supports 22 currencies and provides localized banking in 43 countries, offering a truly flexible way to send and receive money worldwide and hassle-free. So what are you waiting for? Sign up with AlertPay today and join over 7 million members from across the globe with our secure and simple to use all-in-one online payment solution, with no contracts or monthly fees required. All you need to get started is an email address and you're good to go. For payment security and customer service support that's second to none, sign up today and join one of the fastest growing online payment solutions trusted by millions of satisfied members from around the world. But don't just take our word for it - check out some of these testimonials from a few of our AlertPay members and see what the buzz is all about. If you're curious to find out more about how it works, take a look at these 10 facts about AlertPay, visit our FAQsection, or contact us directly. AlertPay is the proud recipient of the Ville Saint-Laurent’s 2010 Chamber of Commerce Alpha Gala award for excellence in consumer products. 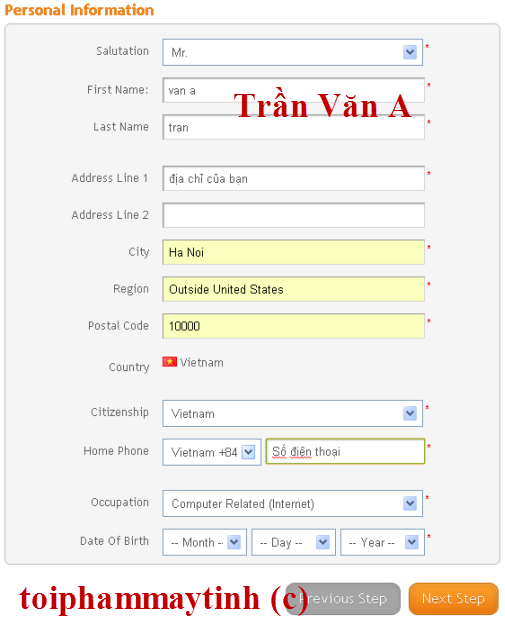 Sau đó, bạn hãy check inbox để active tài khoản. 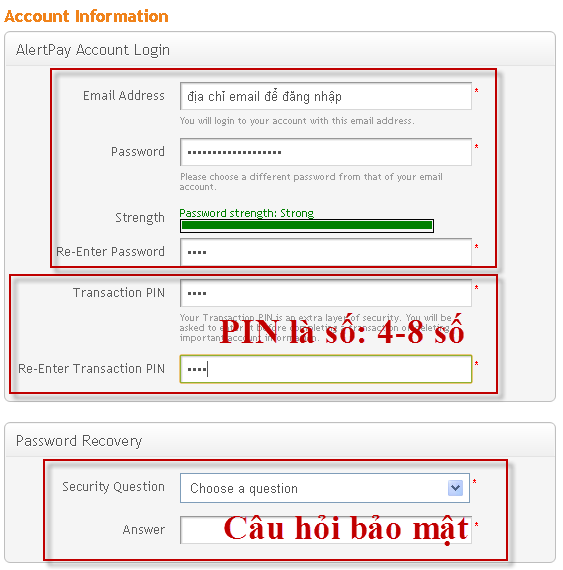 Như vậy, bạn đã có 1 tài khoản AlertPay để chuyển tiền.